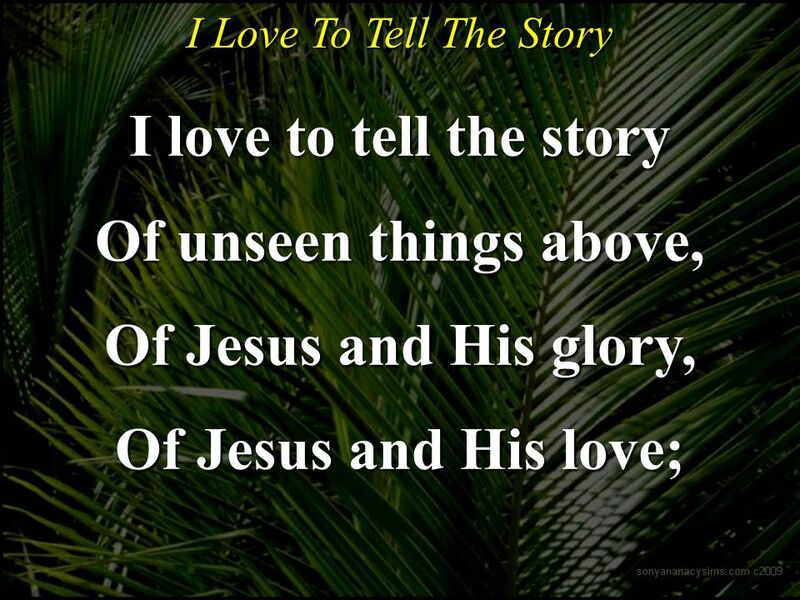 Download ppt "I Love To Tell The Story I love to tell the story Of unseen things above, Of Jesus and His glory, Of Jesus and His love;"
TOP OF MY LUNGS (BLESSED ASSURANCE) Blessed assurance Jesus Is mine O what a foretaste of glory divine. Once More I Must Tell It 1-4 Once more I must tell the old story to you, The story that I love; The story of Jesus so good and so blest, How He came His. This Is My Fathers World #58 This is my Fathers world, And to my listening ears, All nature sings and round me rings The music of the spheres. This is. 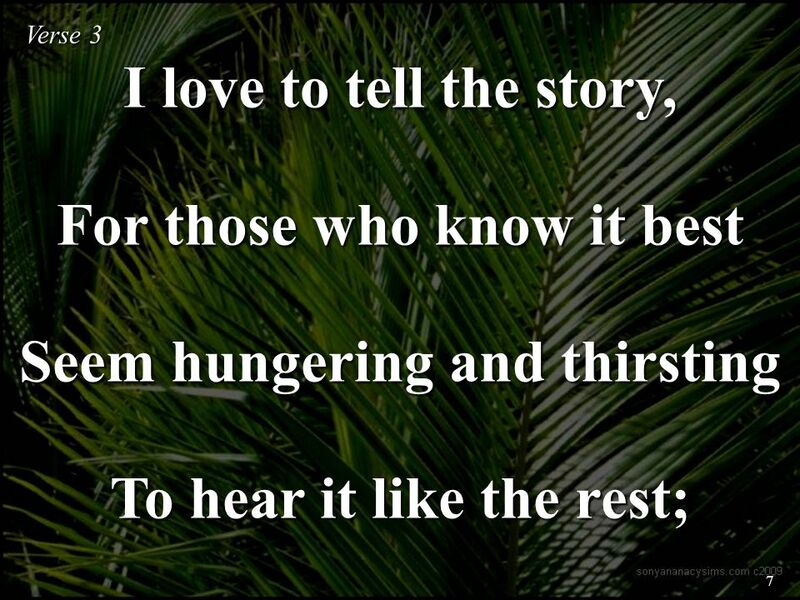 Evangelism: Transforming Congregations – Engaging Communities Evening Worship Friday, November 4th – 7 PM. We love You We Love You We Love You And we will worship You. PowerUP: Week Five Worship. BRETHREN, WE HAVE MET TO WORSHIP Brethren, we have met to worship and adore the Lord our God; will you pray with all your. Were You There? Were you there when they crucified my Lord? Oh! Sometimes it causes me to tremble, tremble, tremble. Were you there when they crucified. WORSHIP JESUS (I WANT TO WORSHIP YOU JESUS) With my heart and my hands. #439 In My Heart There Rings A Melody I have a song that Jesus gave me, It was sent from heaven above; There never was a sweeter melody, 'Tis a melody. 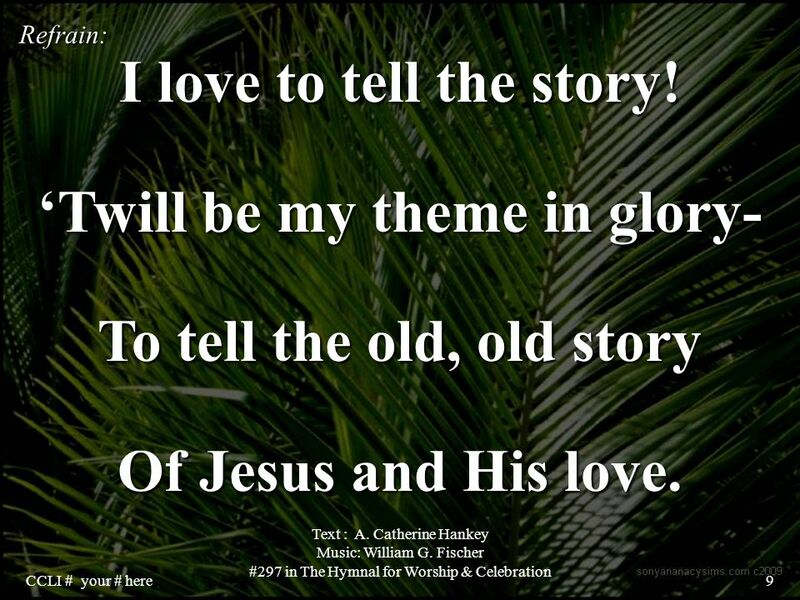 I Love to tell the Story I love to tell the story of unseen things above, of Jesus and His glory of Jesus and His love. 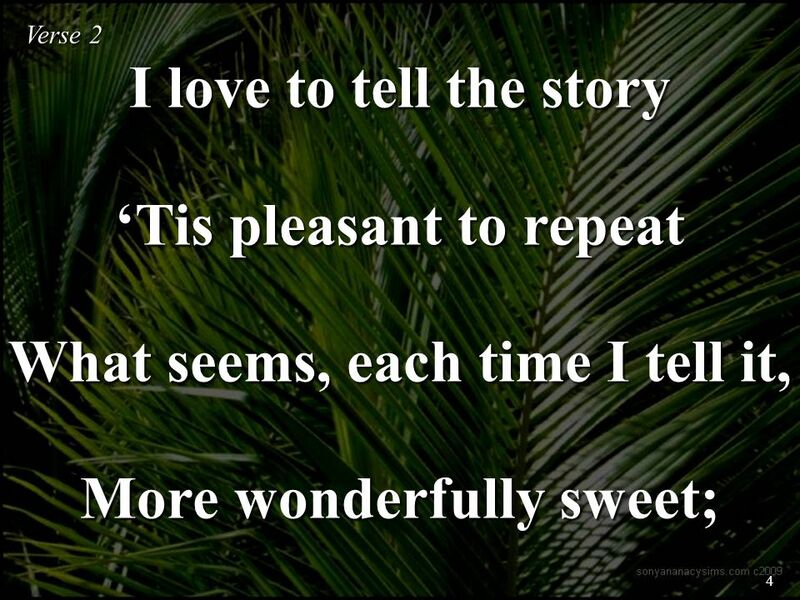 I love to tell the story because. 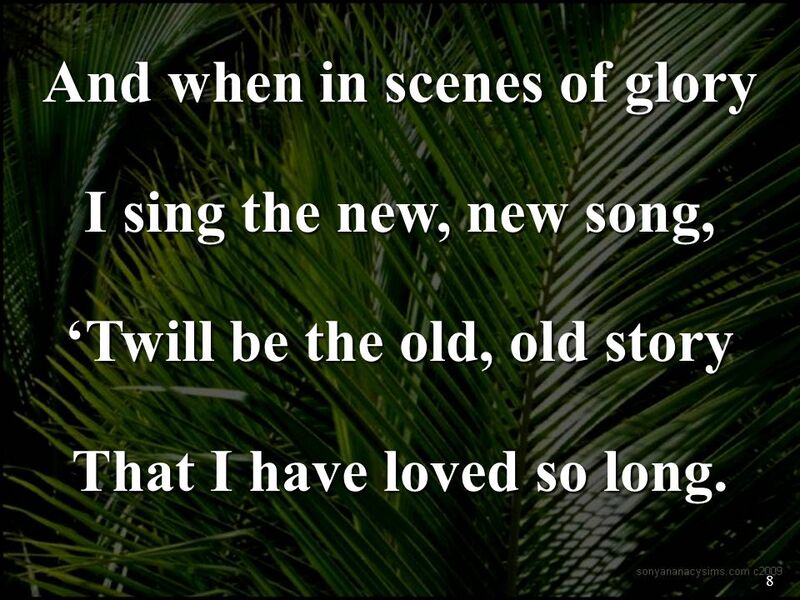 REDEEMED MEDLEY (LET THE REDEEMED) Let the redeemed of the Lord say so Let the redeemed of the Lord say so. 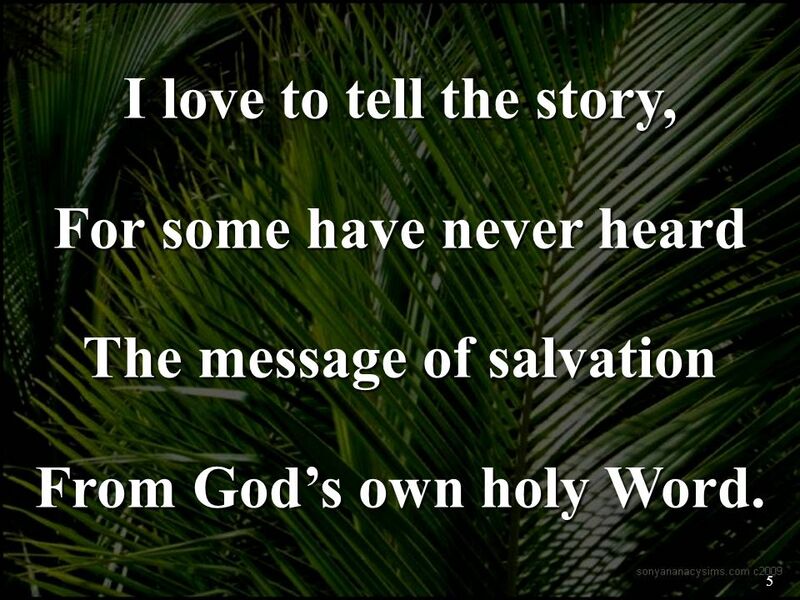 The Same Old Gospel Story 1-8 Preach the gospel of Jesus ‘tis God’s pow’r unto salvation, to all who it, believeth and believing it obey; ‘Tis the same.